Do you have excess inventory or inventory from aircraft you no longer fly? At a time when everyone can use a little extra cash and a cleaner balance sheet, Lamar Aero can help turn your surplus parts into profit by purchasing your excess inventory or selling your inventory on a consignment basis. Using the Lamar Aero 3M process, we efficiently manage, maintain, and market your parts while keeping you informed of your sales through an individual customized asset management plan. Your inventory will be identified, tagged, and segregated for accurate accountability. Parts will be marketed and actively advertised through various databases that reach potential customers worldwide. We offer extended hours to assist the procurement needs of our international clients and to ensure your inventory is always available regardless of time zone. 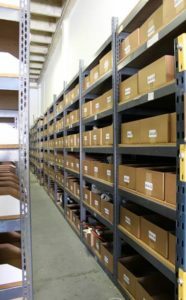 The experts at Lamar Aero will work diligently to get the fastest and highest return for your surplus inventory. For more information contact our friendly sales department.